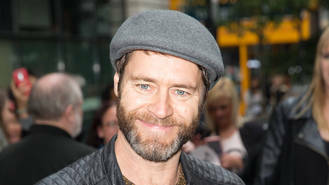 Take That’s Howard Donald has named his newborn son Bowie. The tribute was the latest in a string of A-list gestures. Elton John also made sure he included David Bowie in a recent gig. For his performance at the Wiltern Theatre in LA earlier this week (end15Jan16), Elton belted out a version of David’s ‘60s hit Space Oddity. Speaking to the crowd the singer honoured his late friend by revealing he had David to thank for his collaborations with long-time producer Gus Dudgeon. A tribute concert for David to be held at New York's Carnegie Hall has also been planned, with a second date added as the first sold out so quickly. Fans are also calling for the UK’s £20 note to be changed to feature David’s face. Simon Mitchell is spearheading the campaign, which others can sign in support at Change.org. Eagles co-founder Glenn Frey has died, aged 67. Rihanna has teased she's playing both the Super Bowl and the Grammy Awards in a new CBS promo video. Kanye West is reportedly working on a David Bowie tribute album. David Bowie's filmmaker son Duncan Jones has broken his social media silence following his father's death a week ago (10Jan16). Benji Madden "couldn't be more proud" of the contribution his wife Cameron Diaz is making to the world through her latest self-help beauty guide The Longevity Book. Celine Dion has been dealt another blow as she mourns the death of her husband Rene Angelil - her brother is also fighting for his life. Nile Rodgers is bringing his Fold festival to London.